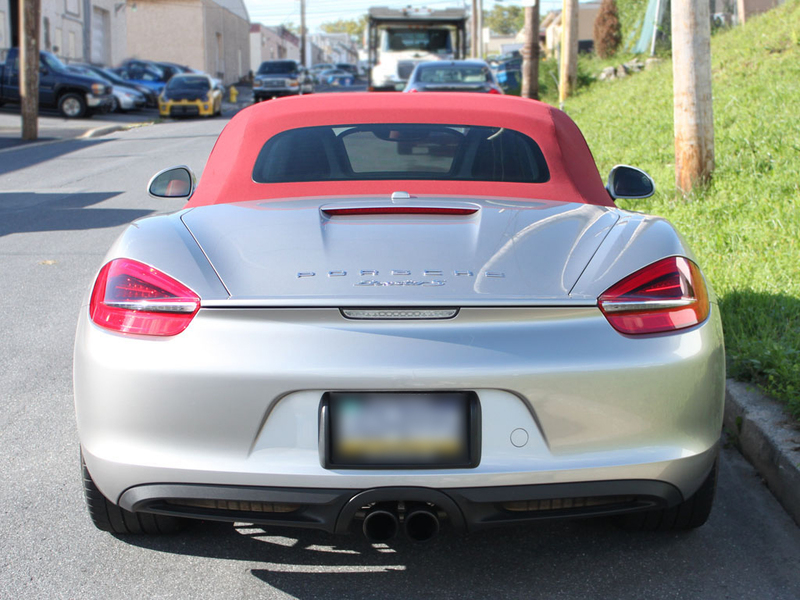 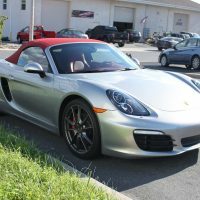 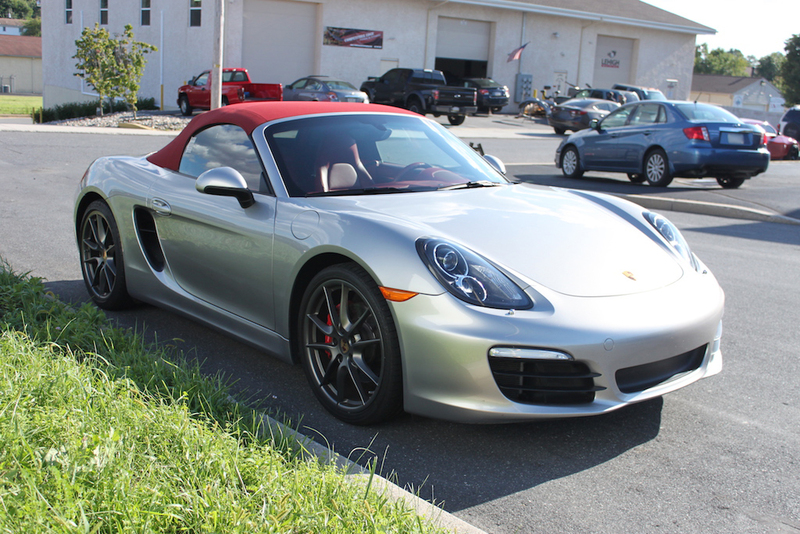 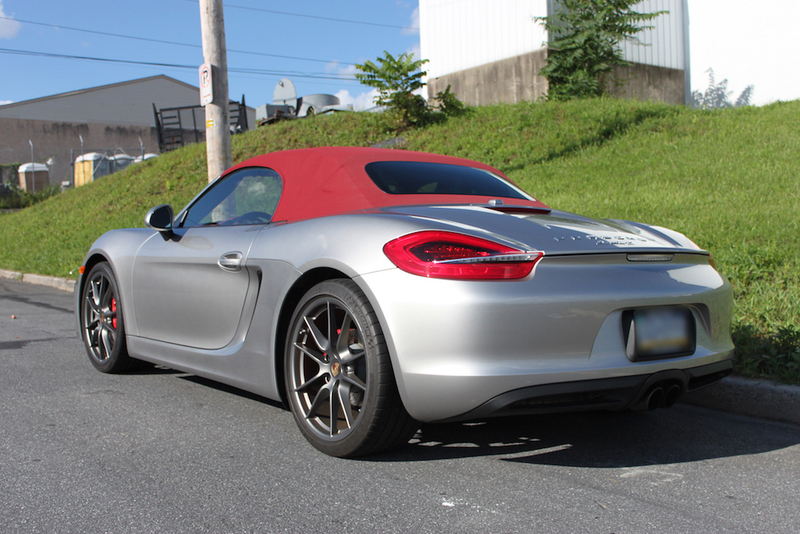 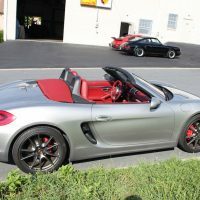 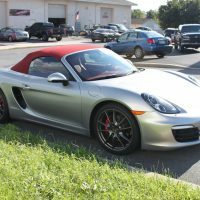 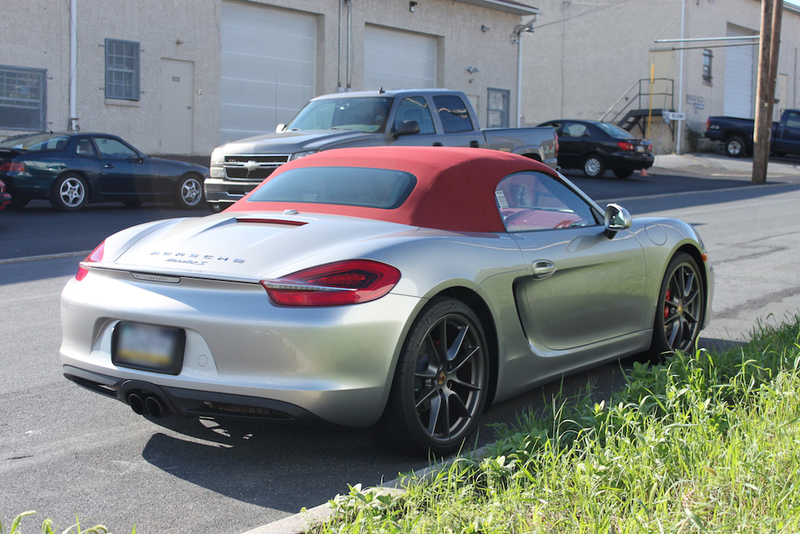 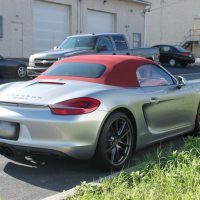 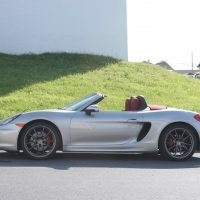 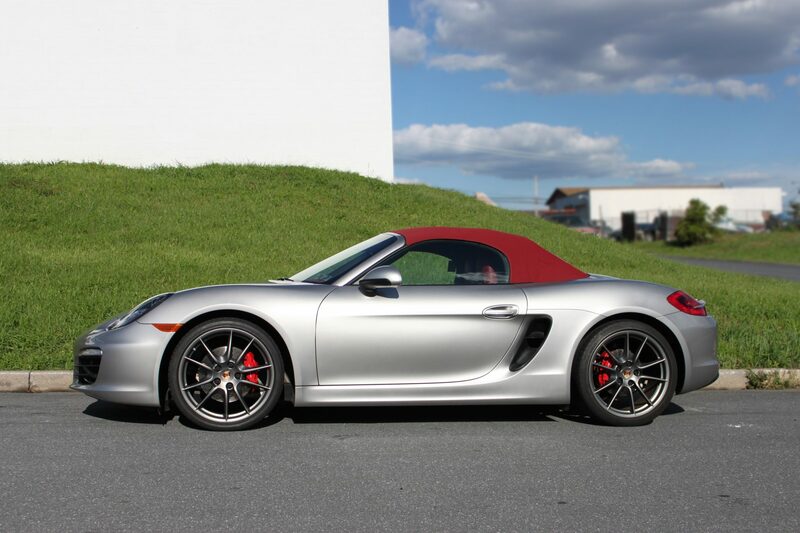 2013 Porsche Boxster S » Specialty Cars Service Center, Inc.
2013 Porsche Boxster S 3.4 liter PDK one owner car with 39,100 miles. 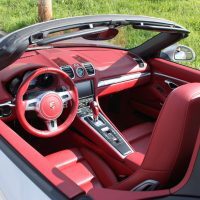 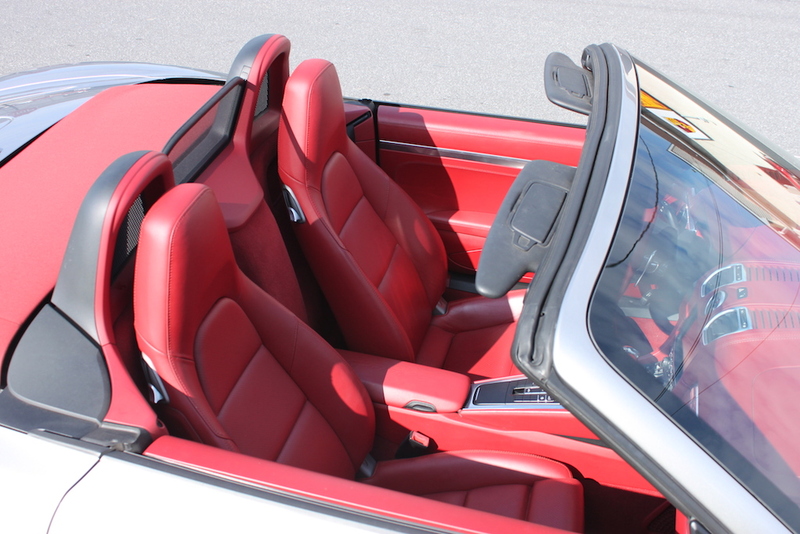 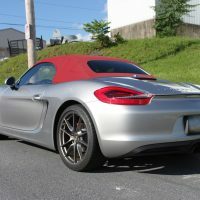 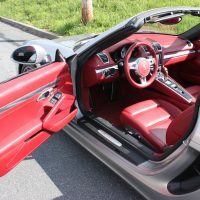 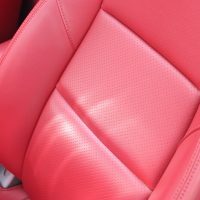 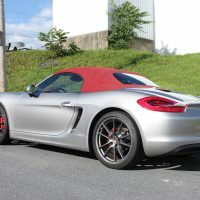 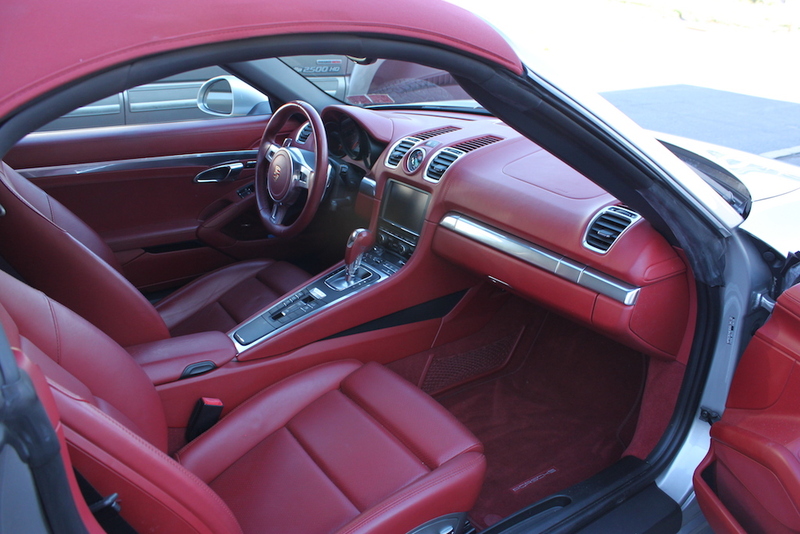 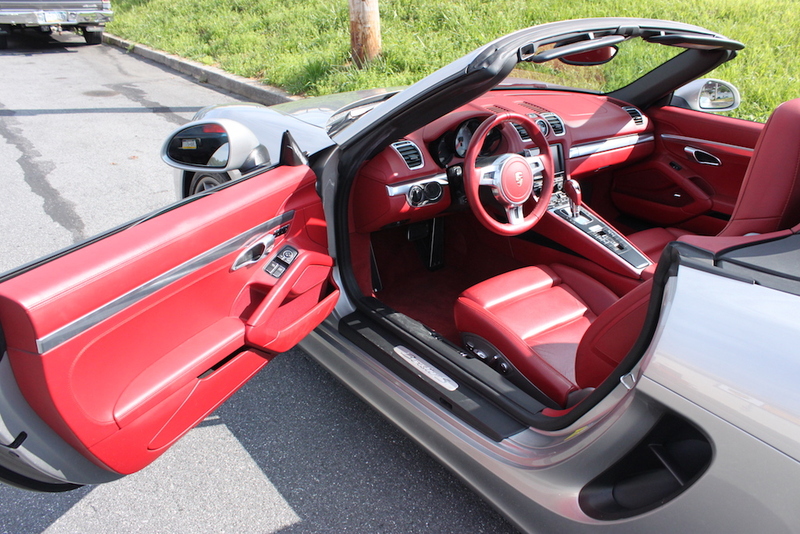 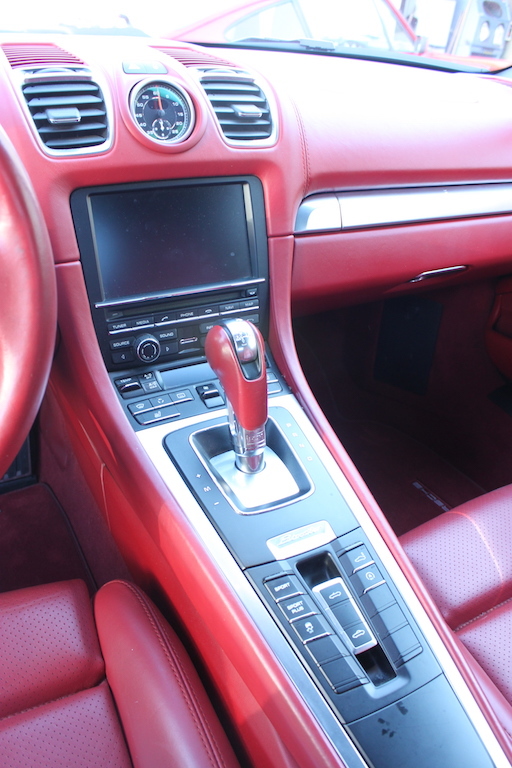 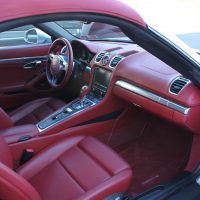 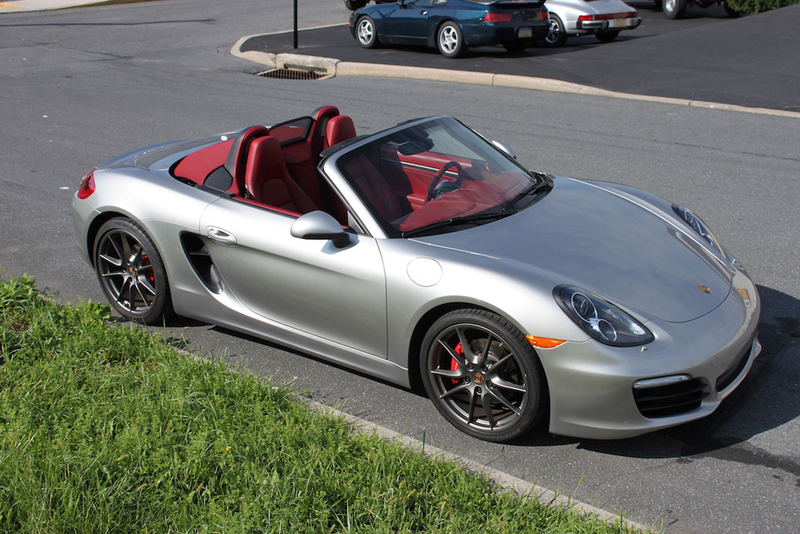 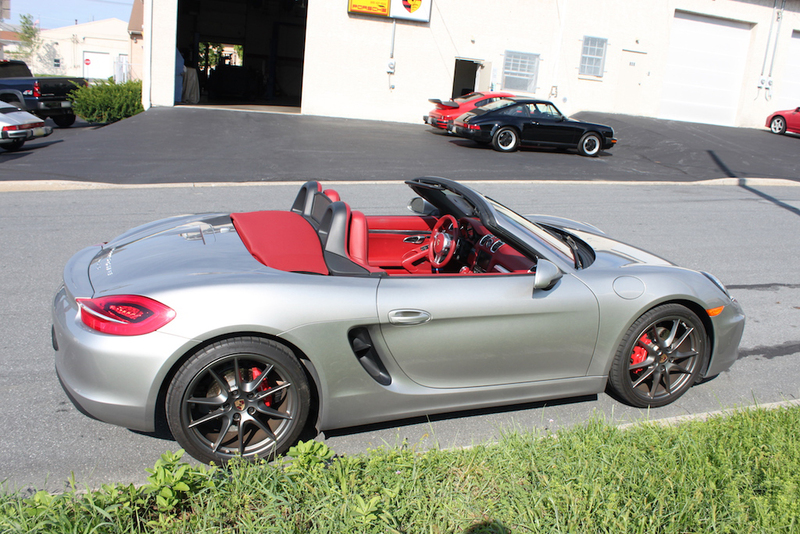 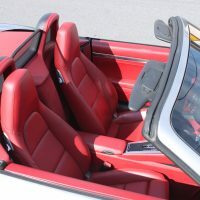 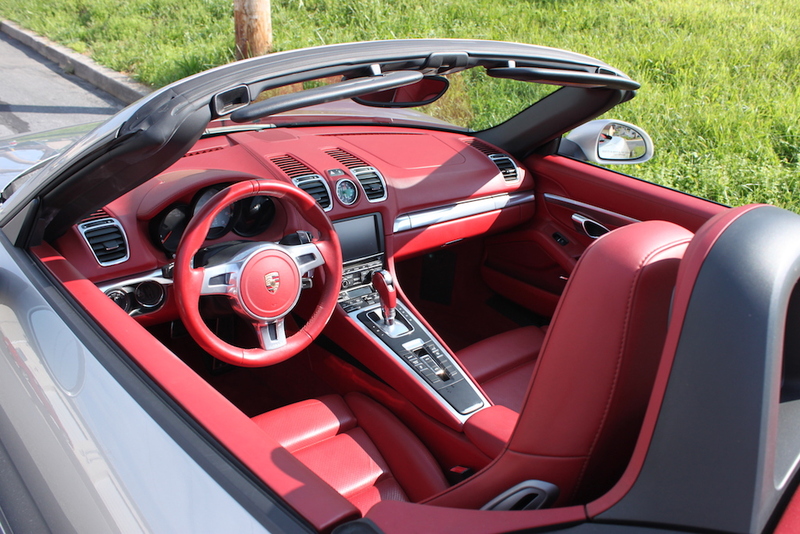 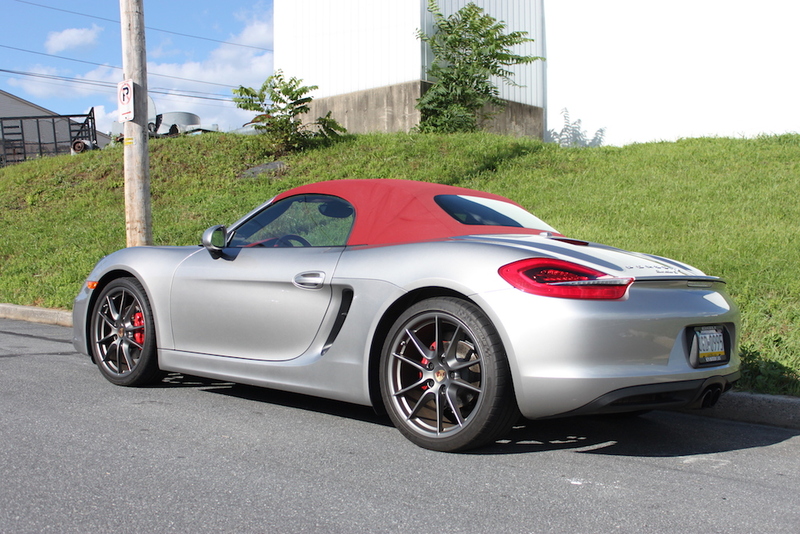 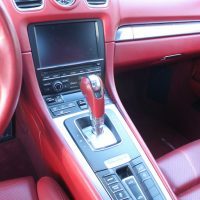 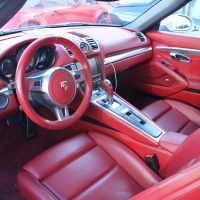 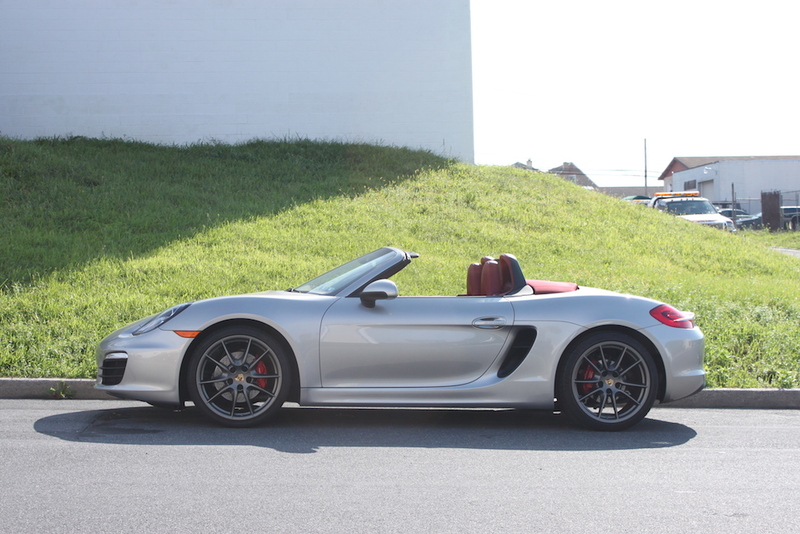 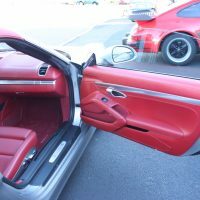 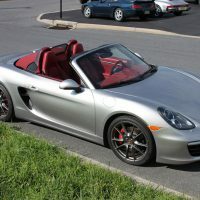 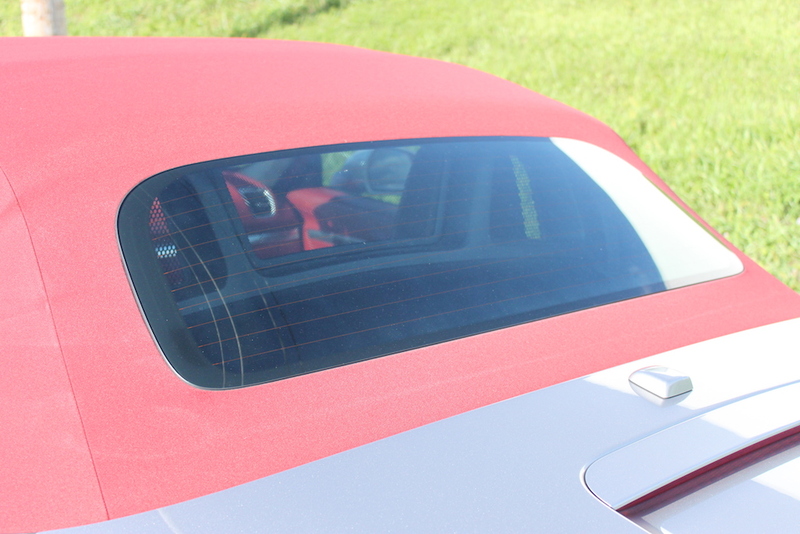 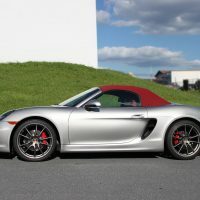 Platinum Silver Metallic exterior, Carrera Red natural leather interior with matching Red Roadster Top. 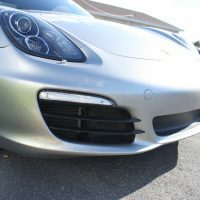 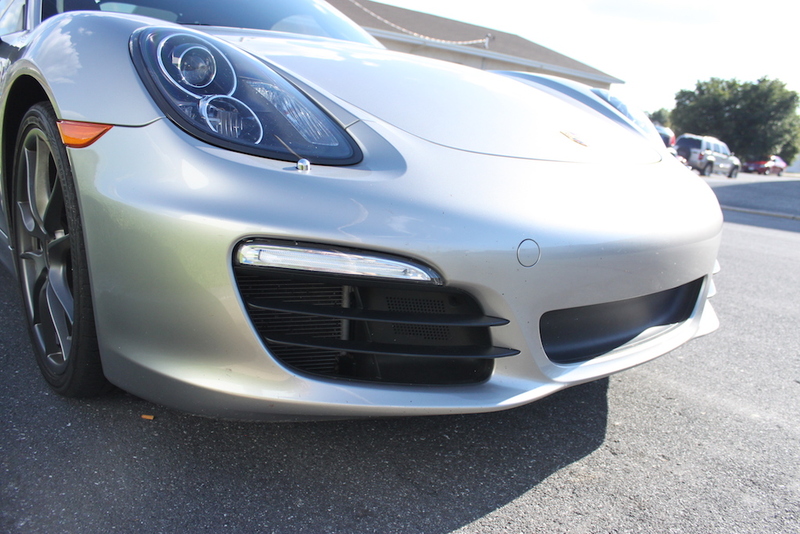 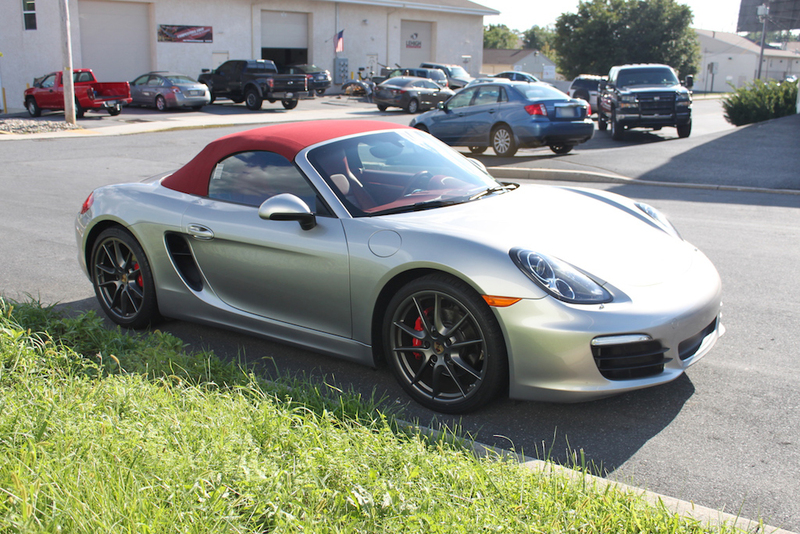 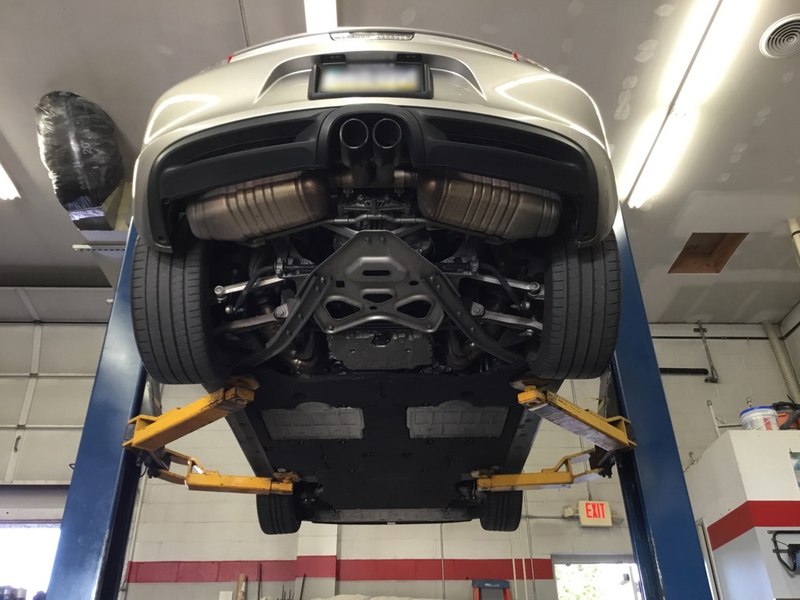 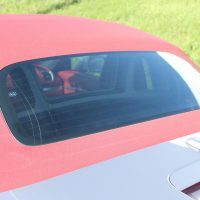 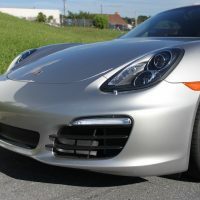 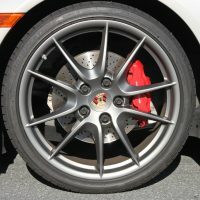 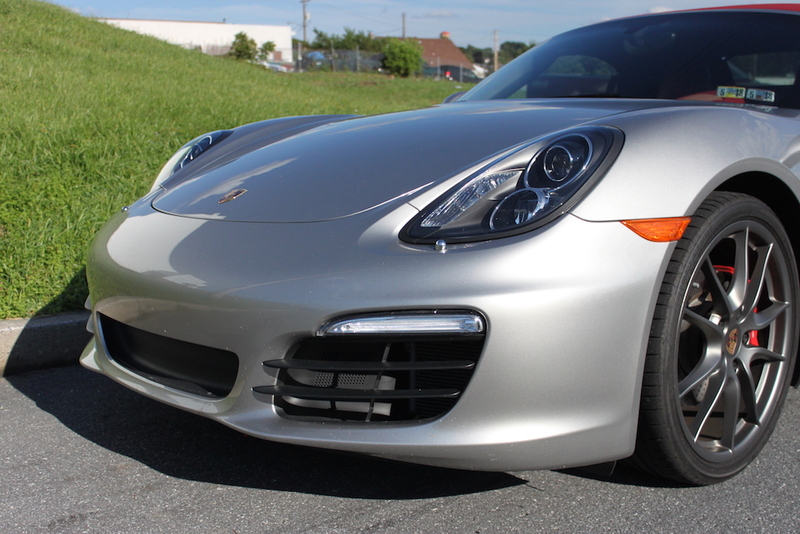 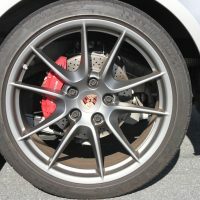 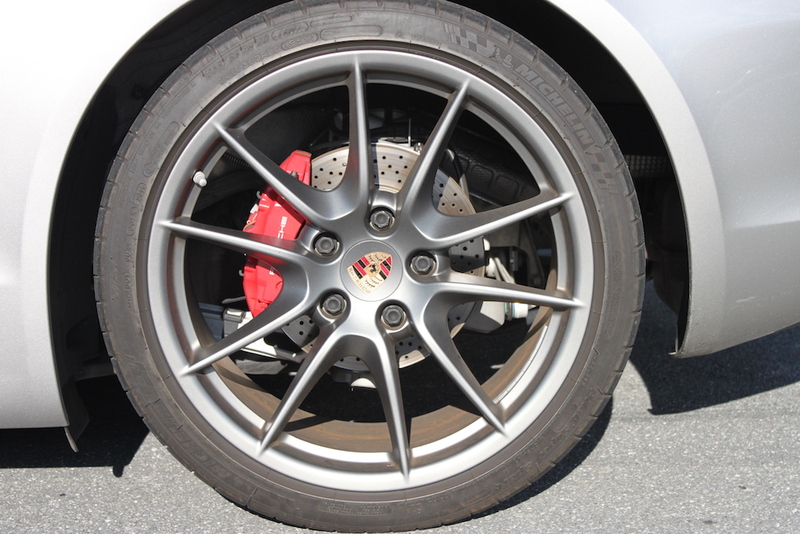 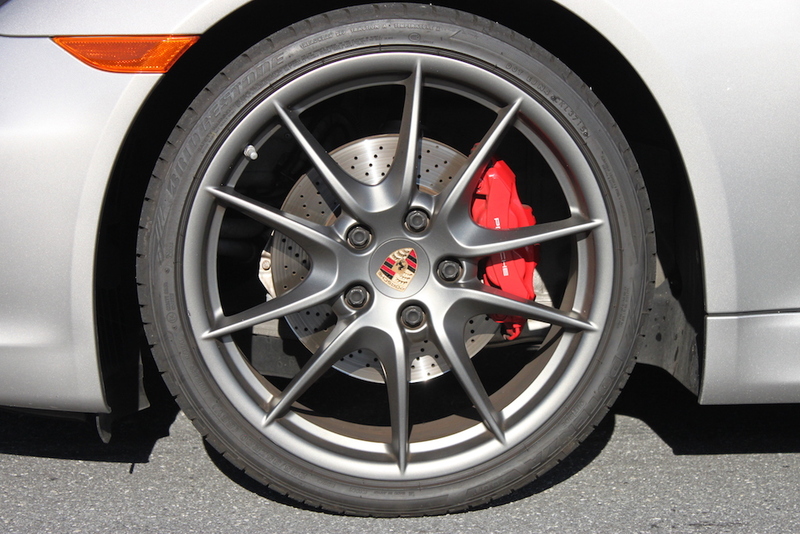 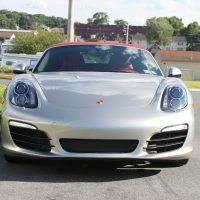 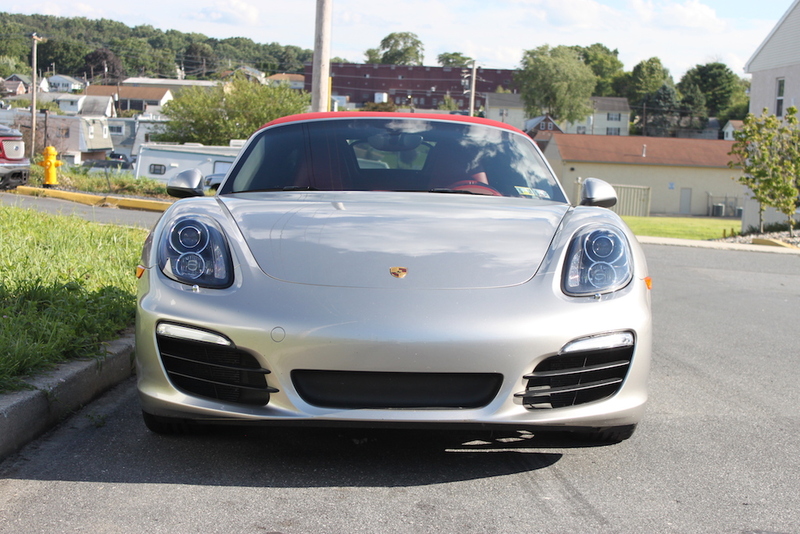 Features factory 20″ Carrera S wheels and Bi-Xenon headlights with Porsche Dynamic Light System (PDLS). 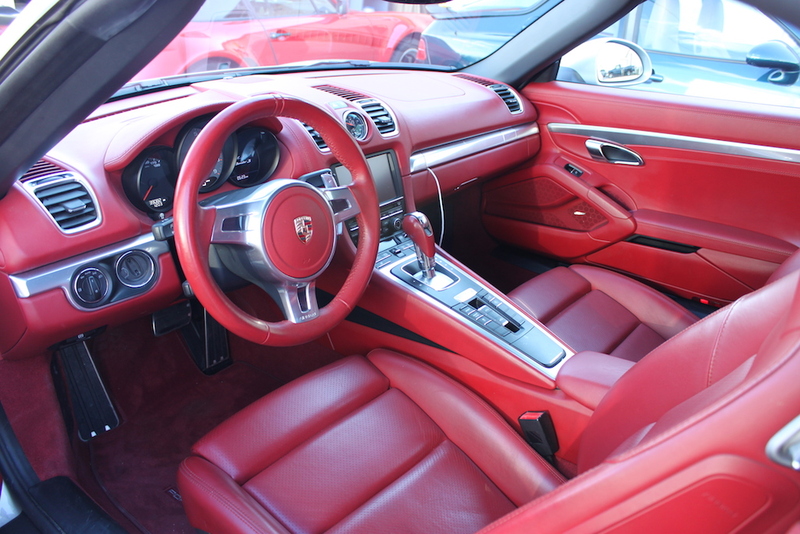 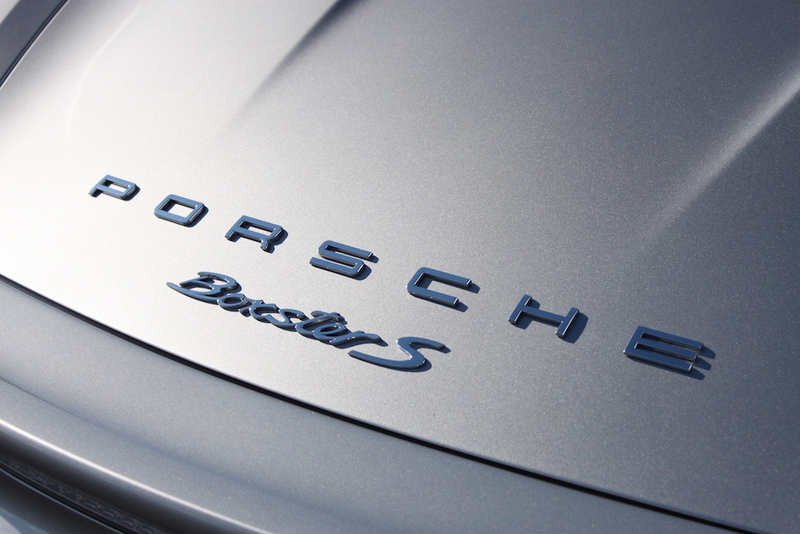 Equipped with Porsche Communication Management (PCM) with extended navigation system and Bose high end sound package. 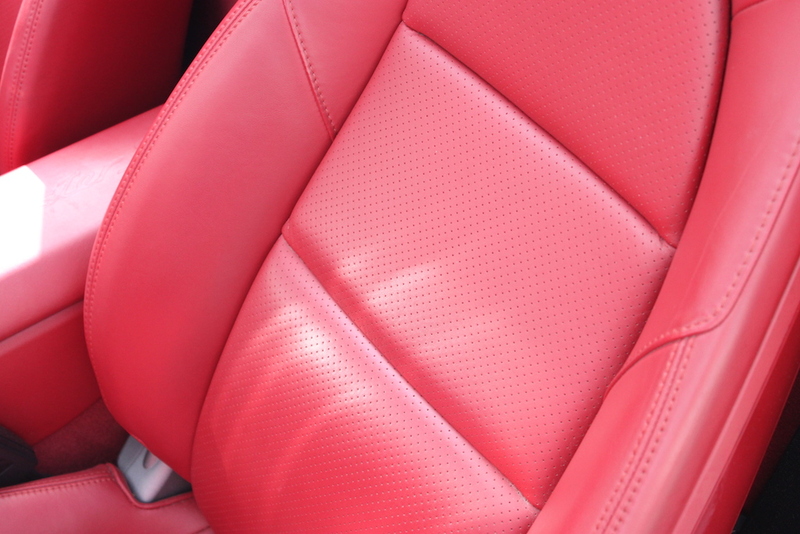 Heated power sport seats (14-way). 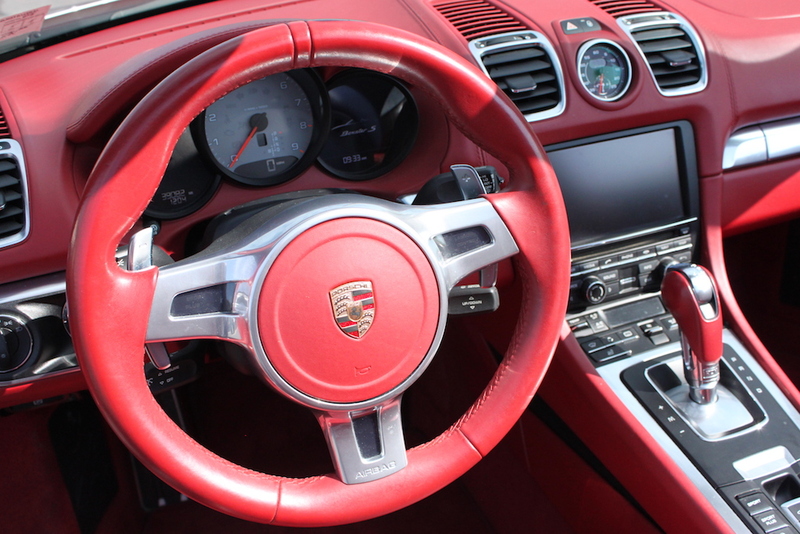 Features Sport Chrono Package for increased performance and handling. 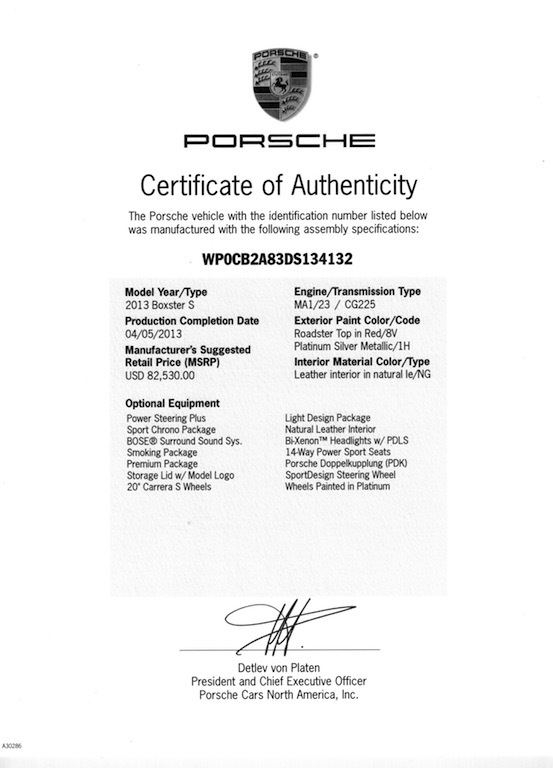 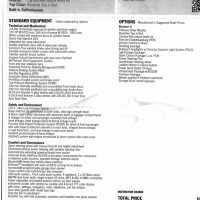 This includes Sport and Sport Plus modes. 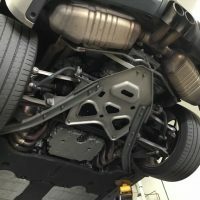 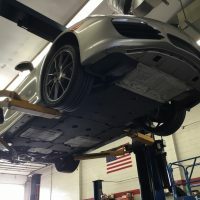 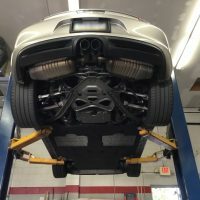 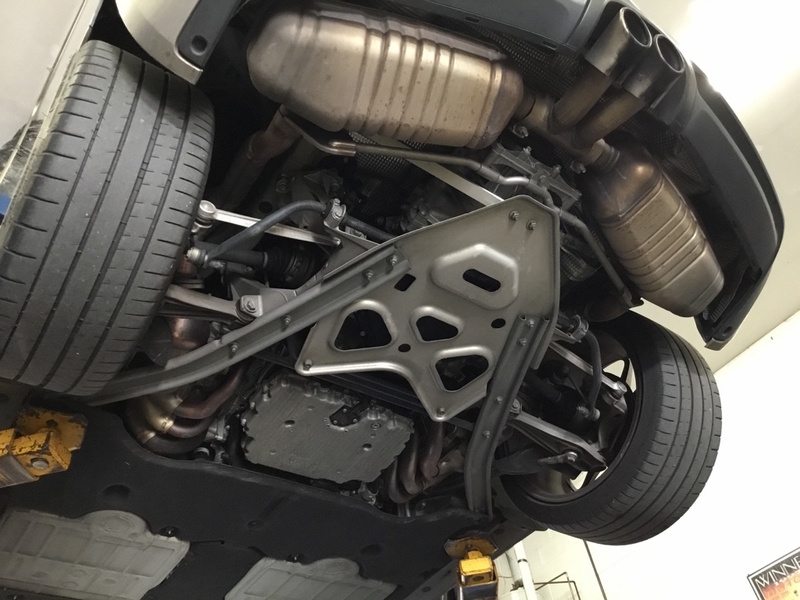 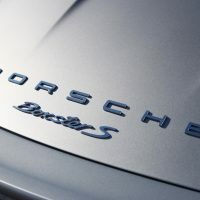 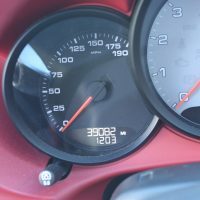 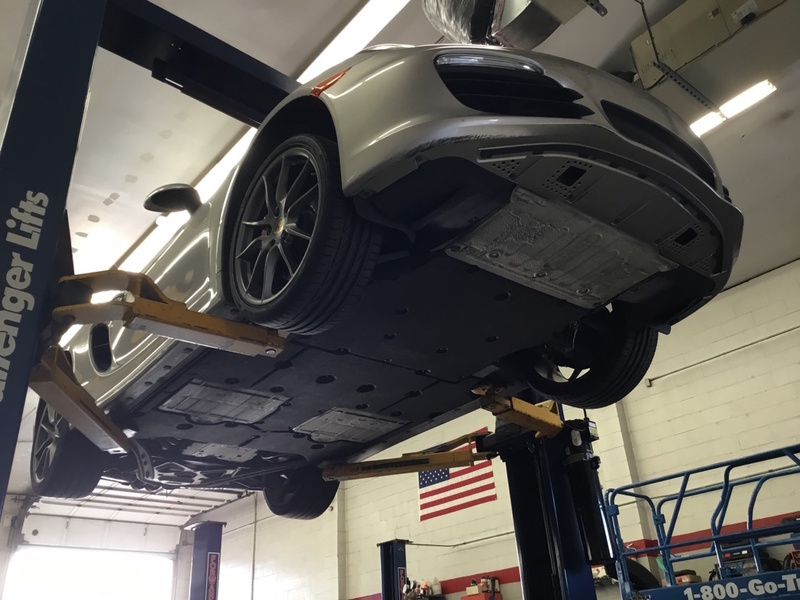 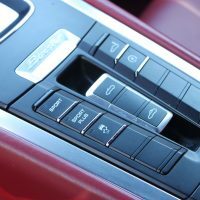 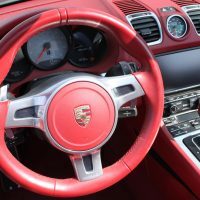 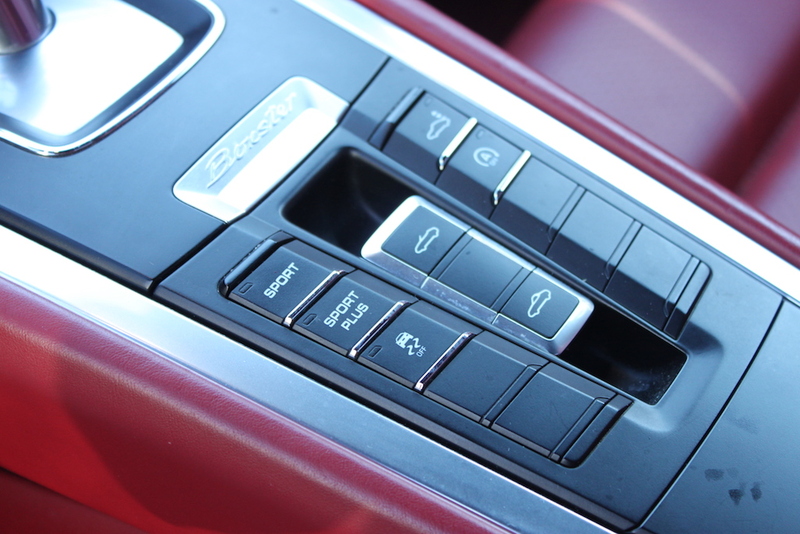 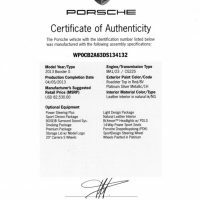 Porsche Active Suspension Management (PASM), Porsche Dynamic Chassis Control (PDCC), and improved electronic motor management. 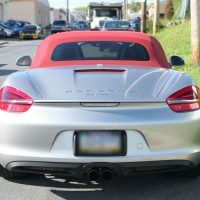 Not tracked or modified. 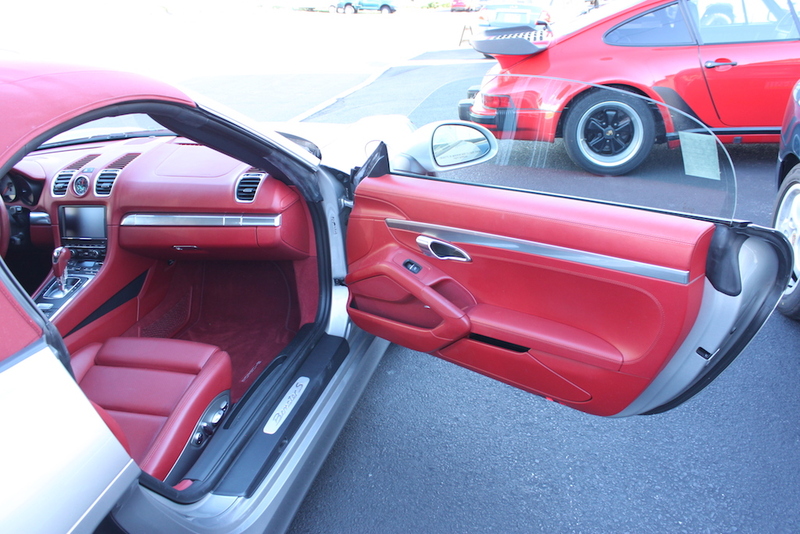 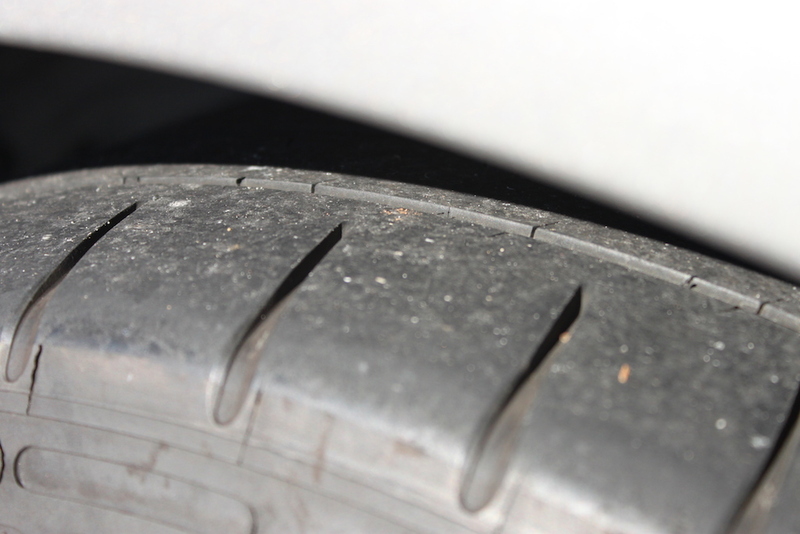 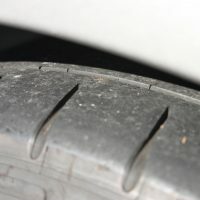 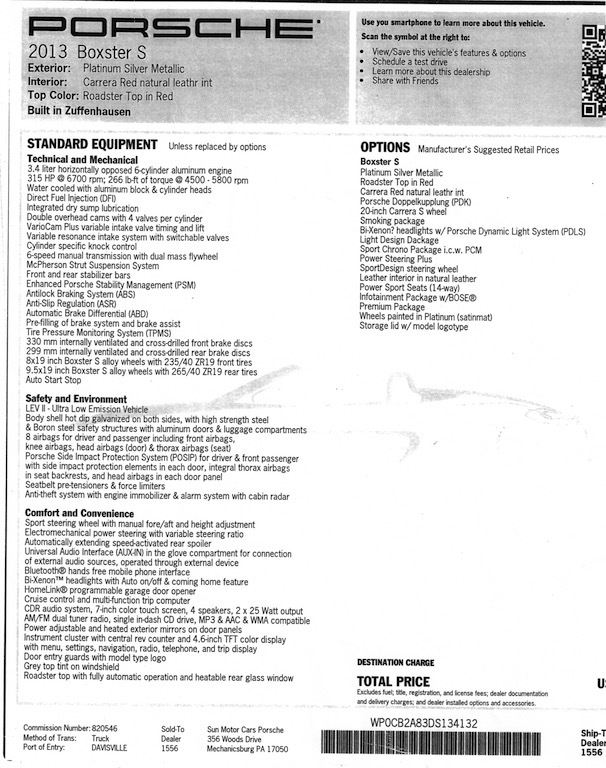 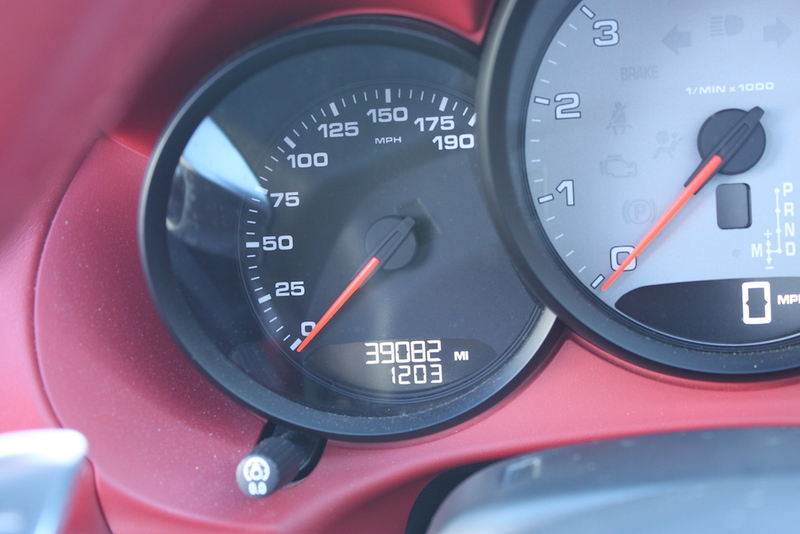 This car has been well cared for, has all service records and COA (Certificate of Authenticity).